Kendra Okonski has worked for International Policy Network, a London-based think tank, since 2001. 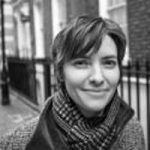 From 2003 to 2007 she was its environment programme director, and in that capacity she has edited or co-edited several books and publications, including The Water Revolution (2006), Montana: On the Verge of Collapse? (2006), Adapt or Die (2003), and an edition of the peerreviewed journal Energy and the Environment. She frequently contributes to print and broadcast media on development and environment issues. 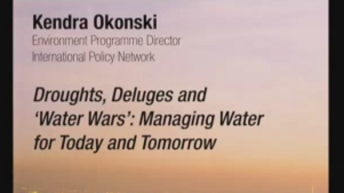 Okonski is a council member of the University of Buckingham (UK) and a fellow of Britain’s Royal Society for the Arts. Prior to her work at IPN, she worked at the Competitive Enterprise Institute (Washington, DC).